New proyect. Satyr Archers (<-- I hope that is ok. Satyr is half man, half goat). When i started disignig this caracters were like fauns, a little more human but i redesigned the head when a see a pic in the web and now is like a satyr a little more goat. Here there are some initial drawings. 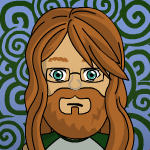 Experimenting with vector graphic i redesigned the head like a satyr. Here it is. Excellent start to a seriously needed paper miniaturized race! I like the new face. It inspires a more gritty non traditional satyr. I hope you keep that style going for your satyr figures. Maybe you could give some of your satyrs mutations, (third arm etc.) to enable using them as warhammer chaos-beastmen? Would be great. Here there are some full satyrs that i´m making in corel. I´ll try to do satyr mutations empeze but first i must finish normal satyrs. Thanks Sammo an Dryw, i like you like it. 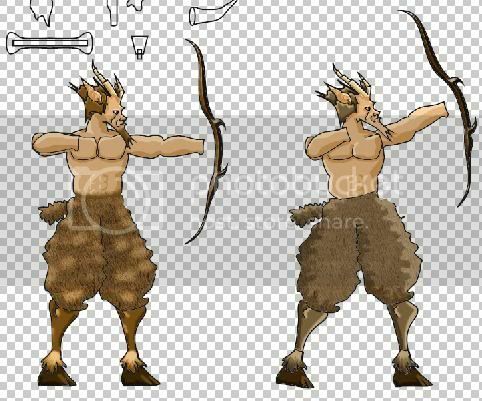 Here is an advance in the (Sloooowww) project of Satyr archers. I didn´t have to much time to make them. 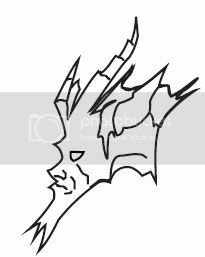 I really like the line art of the Saytr's head. It looks like it could be the start of a logo or something. I'm not much a fan of the thin, spindly legs but I suppose that is just how saytrs are suppose to look. It reminds me of MC Hammer's pants. i´m picking up again this old project with some modifications in the legs and varying the fauns. I hope this time the fauns´ll be better. i´m working in 12 minis with a standart bearer and a musician. Looks and sounds (incoming set) great! You are ( already with the first set, but even now ) competing with the first class people. WOW! these are bloody fantastic! There are certain creatures I never cared for. Satyrs on one of these. But yours look SO good, I will build them and make rules for them in my games! I look forward to seeing the link to get these from the site. As far as competing with "first-rate" publishers go, I think a couple more sets like this, and they will be competing with YOU! I can see these guys running very quickly across the battlefiled carrying long spears to give them good reach, as well. Thank you very much guys! . It mean a great support for me. 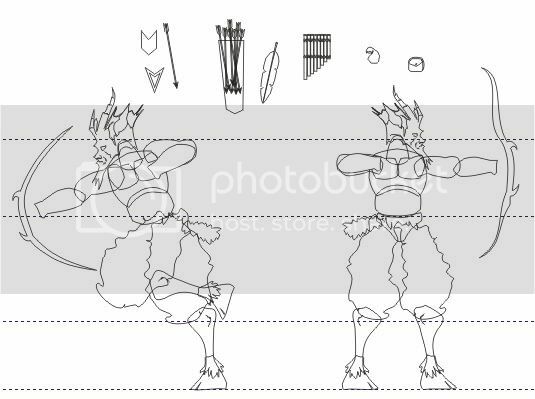 About fauns, yes i´ll do (i´m planning to do, i hope i can) infantery with hand weapons, a set with spears and polearm, a set of druids or magic users, and thinking in (but not designed) mounted fauns. It´s a lot of work but i hope i can. Hey after the mounted fauns, could you do some mounted centaurs? Thanks . I having some problems to upload the file because of my slooooowwwww internet conection . "Faun Archers" is fine BTW.